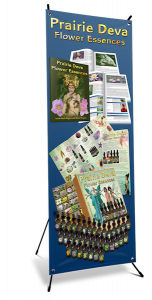 Prairie Deva Essences are made by Robert Rogers, Laurie Szott-Rogers and many Prairie Devas who work hard to bring their knowledge and healing methods to the human realm. 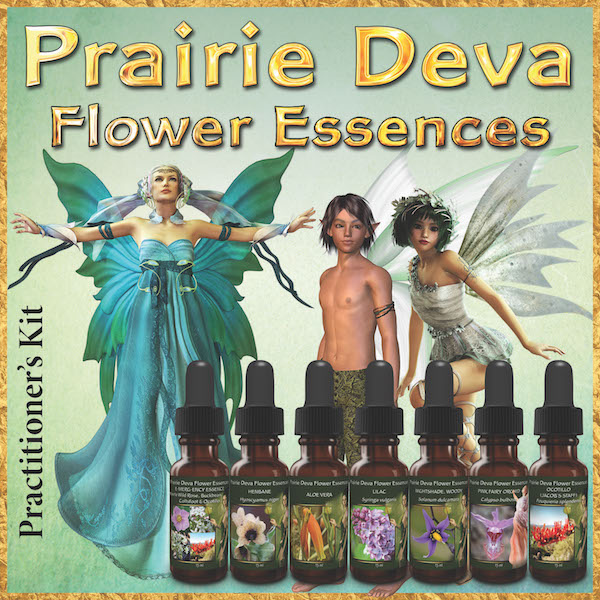 Prairie Deva Essences are mainly from the Canadian Prairies. Generally, we feel indigenous plants are our most effective healers. The exception to this is while travelling, we sometimes feel drawn to make an essence native to another location. We believe at these times these particular plant energies have properties useful to us. In the western world, Dr. Bach wrote about Flower essences in the 1920’s. He could sense the spiritual and emotional signature of a plant and found that if he soaked the flowers in pure water, in a crystal bowl and set them in the sunlight, a vibration from the plant would emerge. He found these waters or essences applicable for healing spiritual and emotional patterns that were not addressed elsewhere in medicine. Many other companies have arisen since then, tuning into plants native to their particular areas, and applicable for these times. Dosage- 7 drops under the tongue 2 times daily, or 4 drops 3 times daily are the traditional dosages. If this does not feel right to you, we suggest that you honor your intuition about how often and how much to take. Some people determine amounts by testing with a pendulum, muscle testing or asking their inner self. Flower essences are very safe and you cannot overdose or take too much. It is generally advisable to take your essence or essence combination for a minimum of 1 month; thus giving yourself adequate time to break and recreate patterns. Create an afformation around your essence. This is a question you ask yourself about the quality you are looking for. For instance, if you are looking for a flower essence that helps fire your creativity, try Pink Fairy Orchid. For the afformation, you might say, “How is it I create more of what is authentic to me each day and love what I am manifesting? Hold the essence to your heart, each time you take it, and repeat your afformation. If you wish to reinforce the effect do the exercises suggested in certain chapters. Actions you create to reinforce your intentions are a powerful way to create change. Don’t expect the essence to work as deeply if you do not create actions to consciously help the process :). There is alcohol in each bottle as a preservative. If you have alcohol sensitivity you may choose to avoid the essences. The essences have also had Reiki symbols transmitted into them for further empowerment. We suggest that essences are taken in conjunction with positive afformations and a genuine desire to watch inner patterns that are being addressed. Paying attention to dream themes during these times is also useful. If there is not a readiness and true desire to change, patterns are less likely to shift. If there is a willingness to take responsibility, much can change with the joint impact of personal desire and vibrational medicine. It is also important to honor the rhythms of the plant energies. 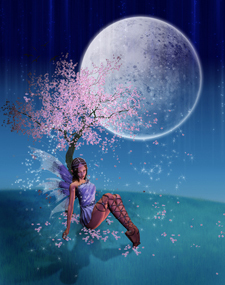 In the month you are engaged with the essence, meditate on the meaning of the plant, look for deep meaning in your own behaviors and attitudes, and watch for synchronicities. Flower essences are not just another product meant to produce fast results; rather they work with you at an appropriate pace, sometimes bringing light to deep soul patterns. The meanings we have stated for the flower essences are what the plant energies have revealed to us through dreams, shamanic journeys and intuitive thought. This does not mean the plant will have exactly the same message and impact on each individual using it. If you are drawn to an essence choose that one. Ask the plant (i.e. spruce) for its help and healing. Each essence will affect everyone slightly differently, so trust your intuitive impression of how the plant will work with you. This info. Is meant for general interest and is not a diagnosis or panacea. The essences can safely be added to any health care or psychological program. If you are alcohol sensitive you may use the essences as sprays, or in the bath, rather than internally. Flower essences will not, however, take the place of medical or psychological treatment. Do not replace your medications with essences.